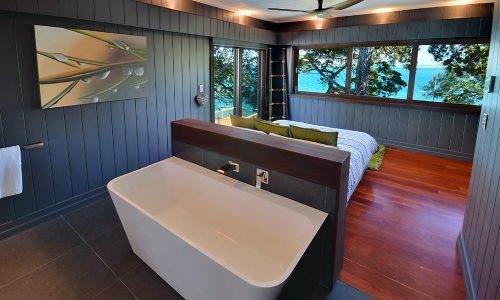 NOMINATED BY AUSTRALIAN TRAVELLER MAGAZINE AS ONE OF THE TOP 10 STAYZ AND AIRBNB BEACH HOUSES! 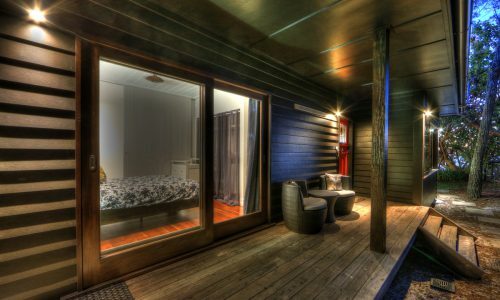 Our packages include car ferry and cafe voucher – it’s cheaper and better to book direct! 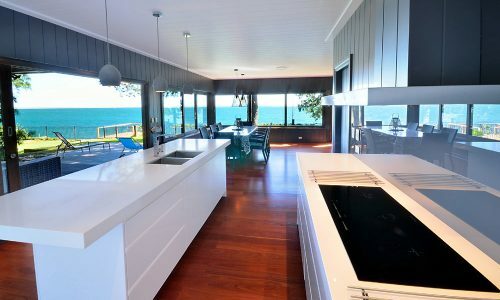 Dolphins at Sunset is one of the finest and most luxurious homes Discover Stradbroke offers for holiday rental! 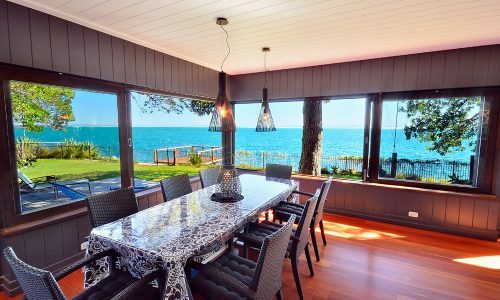 Located directly on the water at Amity Point, with its own fishing jetty, Dolphins at Sunset is the perfect holiday destination for couples, families and newlyweds alike. 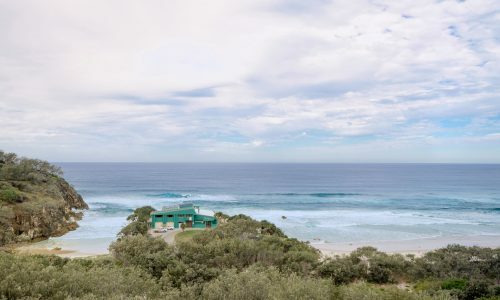 The Westerly aspect of this home perfectly showcases our famous Amity Sunsets’ with panoramic views and, just 100m up from the boat ramp at Amity, you’re in the perfect spot to go out for a fish, or stay home and cast off from the comfort of your own jetty! 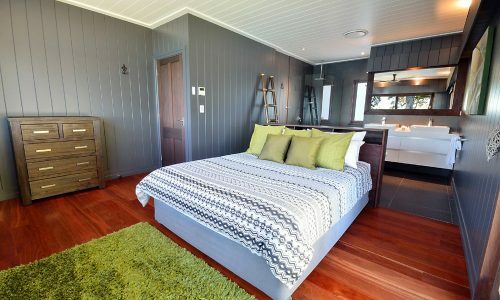 Boasting three spacious bedrooms, all with their own stunning bathroom and ducted air-con throughout, Dolphins at Sunset has everything you could ask for and more in a holiday home. 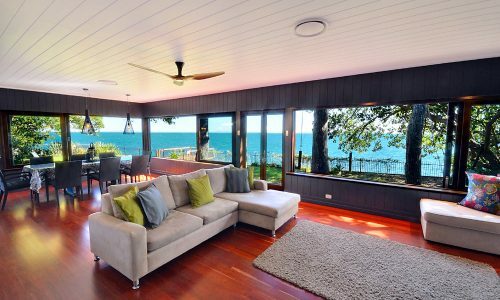 Featuring wooden framed, sliding windows throughout, Dolphins at Sunset brings the outside, in. 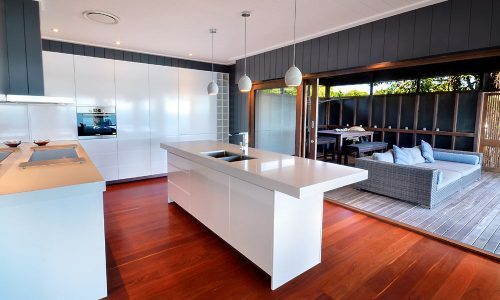 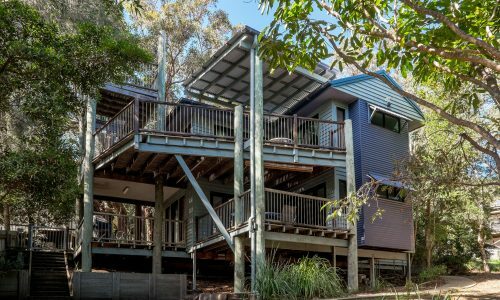 This home soaks up all the sunshine and summer breeze you could expect from Straddie with a soundtrack of lapping water and native birds, all year round. 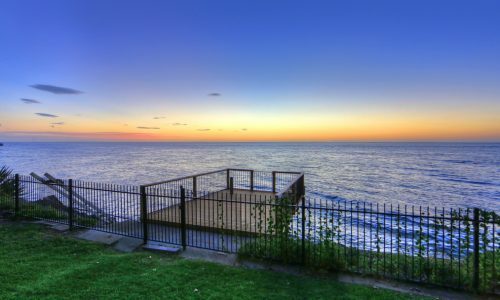 On a still afternoon or night, you should be lucky enough to see the resident dolphins swimming by your back door! 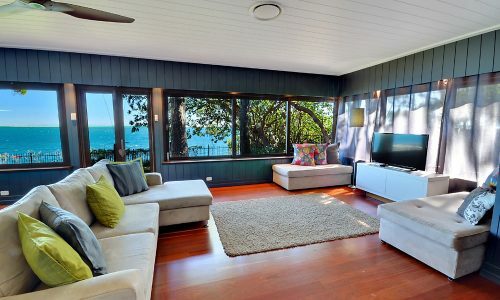 The masterpiece of this property is a close tie between the contemporary kitchen, which leads to an incredible outdoor, undercover entertaining area, and the master suite, with an open plan bedroom and ensuite featuring a free-standing bath, screened windows and a unique internal balcony fitted with safety glass to further circulate those bay breezes. 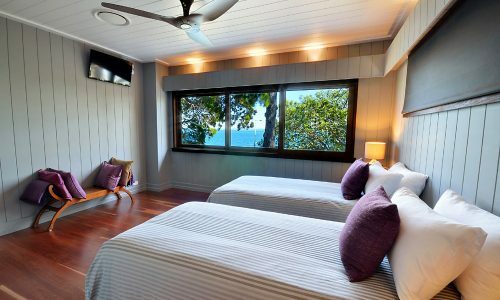 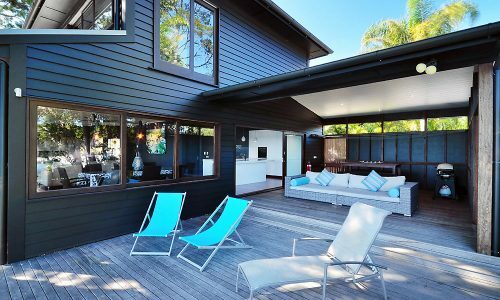 With all the modern conveniences of home including Wi-Fi and Foxtel and, sleeping up to six guests, Dolphins at Sunset is the ultimate in luxury and relaxation on Straddie. 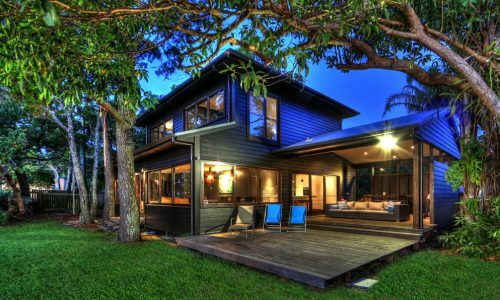 Don’t miss your chance to be one of the first to enjoy this stunning and magnificent piece of Straddie! 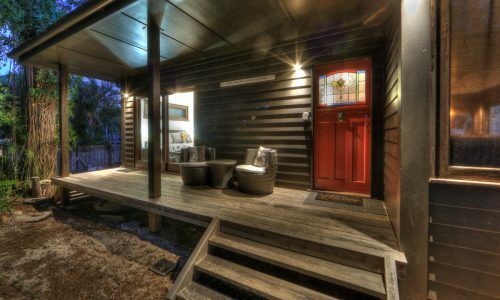 STRICTLY 6 GUESTS AT ALL TIMES, NO PETS AND NO PARTIES OR WEDDINGS – SORRY! 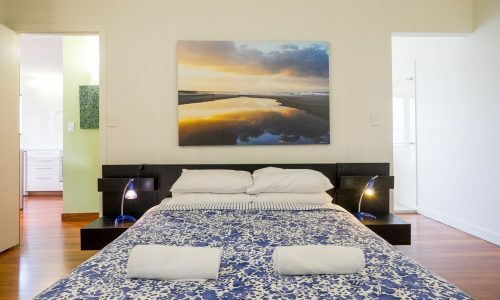 NOTE: Bookings at Dolphins at Sunset include a return car ferry at a time of your choice (subject to availability), a $50 cafe voucher for Fish and Chips, and our premium linen and amenities pack.